On Unix platforms like Solaris and Linux, the configure and compilation should work without a hitch. Specify the machine’s IP address to “listen” on port 443. Specifying an IP address is useful if the machine has multi-homed (multiple IPs configured). Ensure the Signed SSL Certificate is on this machine. Store it in /usr/local/apache2/conf/www.website.com.cert pathname. It can be anywhere that’s accessible from the web server level. The SSL key for the host needs to be available also, and stored in the same /usr/local/apache2/conf directory. This entry was posted in Software and tagged apache, ssl, twitter, web applications on January 16, 2009 by Rudy Amid. The talk around Twitter right now is the phishing scam via Direct Message, as reported by many including Read Write Web, Mashable, and Chris Pirillo. The victims include Twitter accounts for Barack Obama, Fox News, Britney Spears, and Rick Sanchez of CNN. Getting their Twitter account hacked is a potential public relations nightmare. The bait was a simple message to direct recipients to a fake Twitter login page, and enters their Twitter passwords. Unsuspecting users went ahead and entered their information. A similar trick was done in e-mail for the longest time using pages that looked like E-Bay, PayPal, or a banking site. Ask the business or customer when the suspecting hack happened. Find out the exact date and time, if possible. Comb through the web server logs to find the IP addresses of the hackers using the date and time range reported by user. For example, in Apache HTTPD, the file is normally called “access_log”. Most hackers try multiple times, in quick successions. In this case, running through web logs through an analyzer like Webalizer or Awstats will reveal the IP address with the most hits, within a specified time range. Find out who the IP belongs to using tools like dig or nslookup. Report the offending IP address to the Internet Service Provider (ISP) as indicated by the lookup tool. It can be done via email to postmaster@<isp.name> or abuse@<isp.name>. Depending on the severity, a fax or a phone call to the ISP may be required. This is usually done when the hacking continues and there’s no indication of the ISP intervention to stop it. Start using the web server IP filtering features to blacklist the offending IPs. For example, in Apache it can be done via Deny directive for doc-root in httpd.conf or .htaccess file. For known hackers’ IP addresses, make it permanent by blacklisting them in the firewall or router level. Using Secure Socket Layer (SSL) With SSL, most phishing sites will not bother with it because of the cost involved. 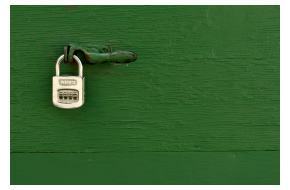 If logins are not done securely, users need to be extra careful. Using OpenID, the open standards user login. A site needs to be registered with OpenID to be able to use this service. This removes the guesswork if the site is legitimate or not. Hopefully the word is out for both users and web developers, to do whatever is required to secure login passwords. This entry was posted in Software and tagged hacking, internet, security, twitter, web applications on January 5, 2009 by Rudy Amid. I’ve been using Twitter for a while now, and I’ve used it mainly to connect with friends, bloggers, and geeks alike. Although it’s not ubiquitous, it is slowly becoming more and more popular among celebrities, scholars, politicians, and journalists. As more people are starting to spotlight Twitter, it’s inevitable the marketplace is also starting taking advantage of it. Businesses are starting to pay attention to it. There are successful companies on Twitter, such as Zappos, South West Airlines, and Comcast. However, since Twitter is such a new medium, most companies don’t know where or how to start. Have management, or executive level approval. It will serve as an insurance, or a due dilligence, if you will, in case something goes wrong and the finger-pointing starts. Form a social media committee. Choose the right people to handle Twitter updates. If possible, choose folks who understand Internet Social Media. Set an engagement policy. Everyone’s must be clear on what information (and when) to share with the public. Have direct lifeline to the support teams, both technical and business, to escalate difficult questions. These questions need not be handled on Twitter, but can be taken offline via phone, or e-mail. Create a professional looking Twitter profile. Update the Twitter profile’s background picture to include company logos, or brand images. Twitter updates (or tweets) must contain only useful information. Tweets must have value. A good example is OC Register’s @ocreggie. They hand picked the articles posted on Twitter. The human attention to detail is important. Start slow, and not rush into getting thousands of followers right away. Followers will come when they see the company’s updates are important to them. The above are steps in the right direction for a business to adopt Twitter as its new communication and customer service tool. There are other suggestions on how companies can succeed with Twitter. There are also questions to ask if Twitter is right for corporations. 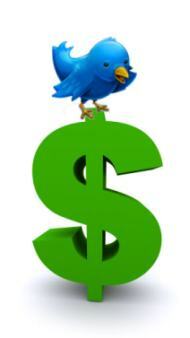 Either way, when business takes Twitter seriously, it will reap the benefits, and work out the disadvantages. As long as it focuses on providing creative and valuable information, using Twitter is going to feel natural and easy. This entry was posted in Business Process and tagged marketing, plan, PR, twitter on December 30, 2008 by Rudy Amid.